It was very successful with an encouraging level of engagement from delegates, shown below engaged with our two activities. 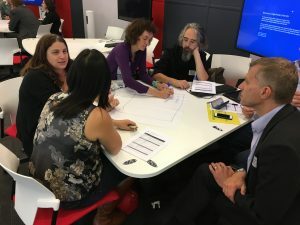 The first activity was to evaluate two learning spaces whist adopting the personas of a learner as well as an academic. 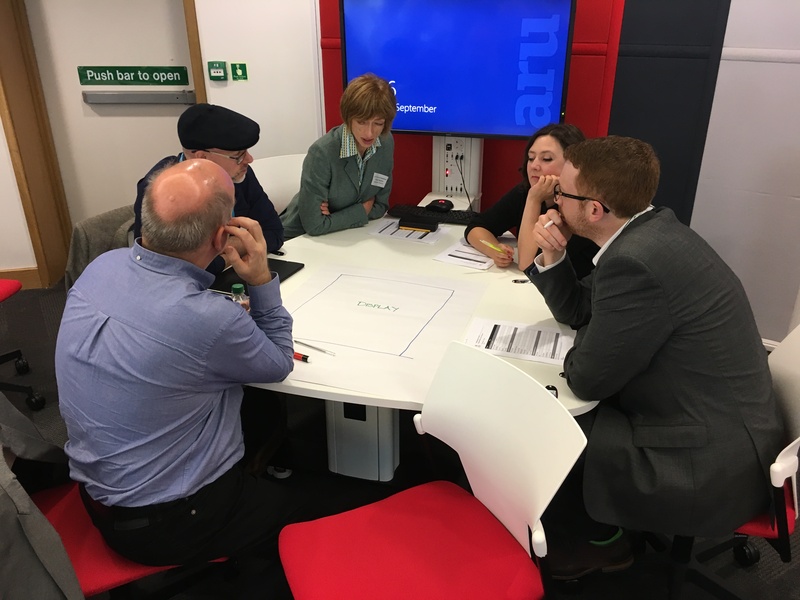 The second group activity was to deconstruct a learning space, delegates have to leave their comfort zone somewhat but it is quite an eye opener in how people are freed from conventional approaches to consider how learning can be experienced in a more fundamental way. He believes that we need students to have transferable skills, especially pertinent in ref. to ‘Learning for a Changing World’, oecd. By 2020 – 204 million students work wide, 29% from China, Also the New Science of Learning paper on “Foundations for a new science of learning” Meltzoff, Kuhl, movellan, & Sejnowski. Mike stated that we also need to promote evidence based education, and referred to ‘Learning the Smart Way’ by P. Kirschner and M Neelan 2015. Kelley and Watson 2013, making long term memories in minutes, Frontiers in human neuroscience, provided evidence from neuroscientist about value of spaced learning. With active breaks between presentation, students then recall key concepts and then students apply knowledge. Exciting opportunity for new learning. Intended mix of activity. Learning design had an impact on student satisfaction. He discussed Predictive analytics, OU Analyse. Mike referred to Blended Learning US Dept of Education 2009, B Means et al. A meta study of comparisons online learning v face to face. As well as a notable example from Edinburgh Uni. Moray House School of Education. Mike’s vision of the future is for more blended and hybrid courses with moocs and modules, with professional development support for new careers, a more flexible model of provision. Including affordable education, pay for use model, that is disaggregated. They carried out a 2 year evaluation and spoke to 440 students, 180 videos, one key observation is that students created their own active learning experiences! Encouraging mixed teaching methods, to promote active learning and lectures. Many challenges; not involved in the beginning as stakeholders, timetable issues for teachers not being in the right spaces, access to power didn’t happen, room temperature, maintenance issues, carried out full evaluation, decor made a difference. LSE aiming to change form of assessment currently exams, not enough space for group work and informal learning. Thought about subtle aspects with respect of artwork in spaces, environmental features. Evaluation found students largely working individually as curriculum. Students found their own way of using spaces. 3. 20 Kingsway, based on previous projects looking at low quality classroom and applying new design process to engage with academics, led to new ideas about how to use space and work with architects. 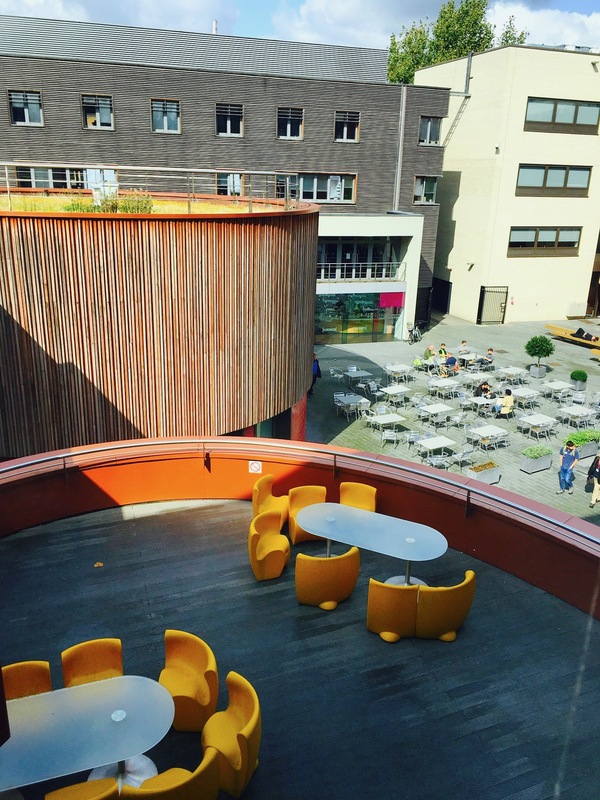 Aim to create experiences with LSE spaces. 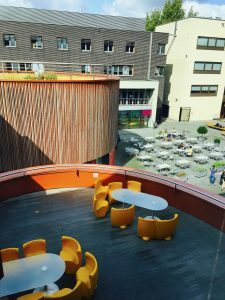 At Sheffield, Trish and Rachel worked on complex real world multi disciplinary projects, where students were put in teams of 5/6 mix of students in discipline and nationality. Problem based learning, one intensive week, with trained PhD student, hub rooms, teaching a process, case study to model, short video led teaching, contextual, no credit but is compulsory! Second week for second year students is more technical and with industry partners. Evaluating. Student opinions gathered, 2000 responses, how reliable is self evaluation? Biomedical instrumentation e-labs, with a flipped and blended approach. Changed personal experiences of labs. by building industrial type projects into labs. But found that it is not enough to just follow instructions so team needed to learn Arduino, software for science labs. Positive outcomes were improved learning experiences, design quality time with teacher, live problem solving. Staff utilised Quick marks, on iPad with Turnitin. Discovered that all 30 students engaged well, motivated by a 5% towards overall mark. 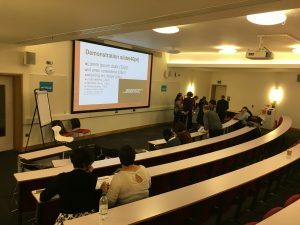 Students views were presented from Rhian Kerton. They felt it was personalised for their course, labs were relevant and lined to industry, assessed with value , good links to industry, needed to be credited and linked. Felt better prepared before lab, if they read the instructions! They loved campuspack blog but only on PC, prefer fewer tests and larger value marks, can they be assessed for professional behaviour, could they submit any questions before the lab. ALC Panel Q&A chaired by Mike Sharples. 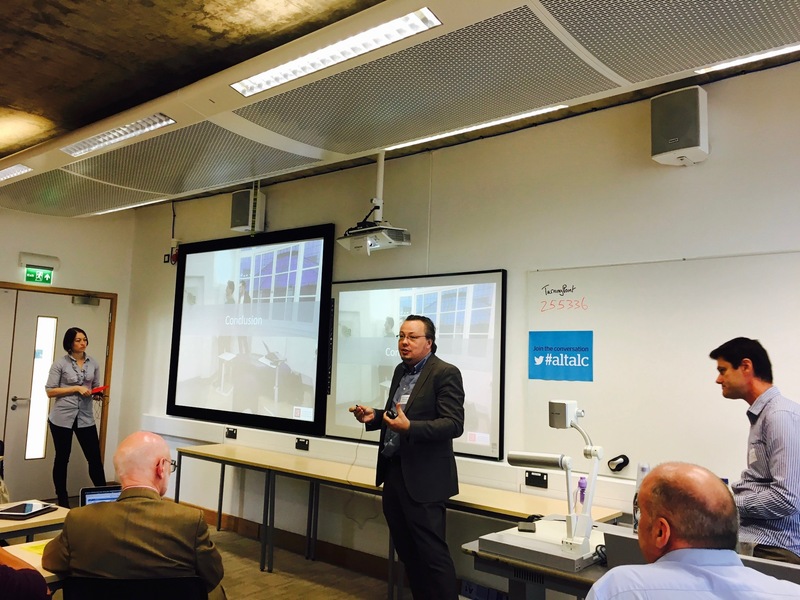 Simon Tweddle at Uni of Bradford, for students to have deeper learning not just results, students not engaged enough. 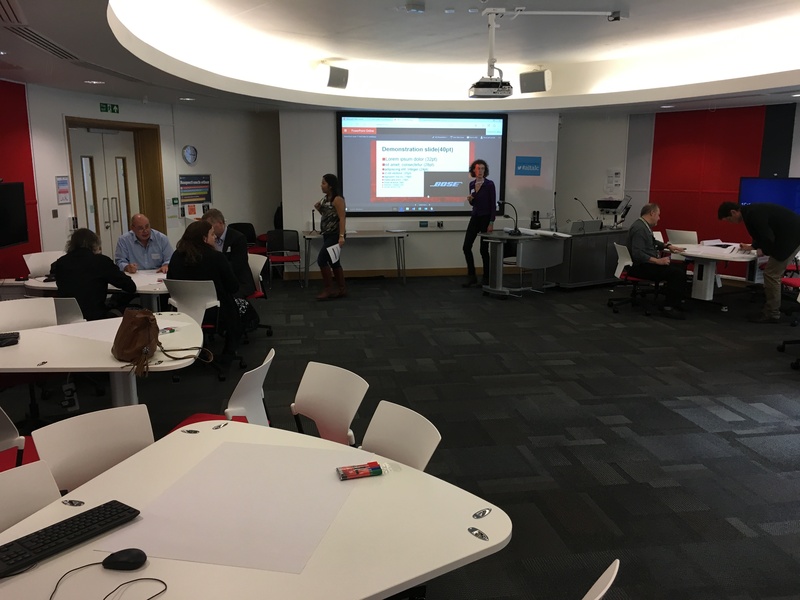 Jane at Nottingham Trent Uni., scale up, demonstrated and documented in literature with benefits, brilliant gateway to enquiry based learning, challenge the dominance of the lecture in HE, good PR a rallying cry. 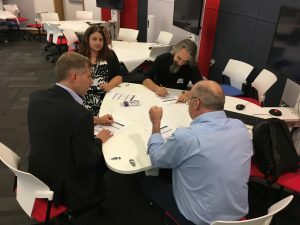 What are the main challenges of Active Learning? Uwe; workload, changing delivery , student expectations, team based learning needs to create positive dynamics of the group. Not all students like to work in groups. Mike; senior managers need to give support and permission and bring ethos of learning and teaching into institution. Be brave to take a revolution approach. Productive failure is very important in university so we can learn from that. 2.1, “Tales from the North” Univ of Akureyri, Iceland. Staff presented on how 2,100 students on distance learning since 1998, mainly to nursing videoconferencing, then to online learning, flexible model so 70% are enrolled as distance learning students. Now they combine face to face with distance learning. For Chemistry in 2013, there was a split of 50/50 student on line or face to face, low drop out, failure, satisfaction low, problem solving on campus. Second year set up collaborative classroom for group assignments and divided students with flipped classroom approach. Transformation process, institutional, conservative, teacher centered, cleaning regime, more mental than technical, cooperation between admin and faculty, needed a manager email to all staff stating the room was experimental , had to be firm against attitude. Challenges: from front or focal point, noise, tech knowledge. Third year of flipped classroom for groups of six, with screens and whiteboards for groups, percentage of drop outs reduced significantly over three years, surveyed student responses. They used remote iPod zoom robot to video conference groups from ALT in Liverpool, allows lateral movement. 2.2, Presentation from Cardiff Met University. Looked at induction programme underpinned by active learning, sports students took part in local community activity and run a project, with Dragons Den style presentation, personal tutors spent all week with students, evaluation of exit survey largely positive and how many students keep going, some wants to change courses as result, some staff struggled with activity based programme and their own role. Assumption that staff would know about experiential learning on activity based program. References: L. Thomas 2012, Building student engagement and belonging at a time of change in HE. Thomas Hill, Mahoney and Yorke 2017, supporting student success; strategies for institutional change. 2.3, Evaluating students perceptions of active learning pedagogies, Sheffield Hallam university , Helen Kay LEAD and Tim Parker, dept of engineering. Helen led the evaluation of the project, with a questionnaire for 240 students in professional practice and aerospace engineering, used qualitative and quantitative, incl. a word cloud. They had a very good percentage of responses with a look at factor analysis, value, positivity and participation. 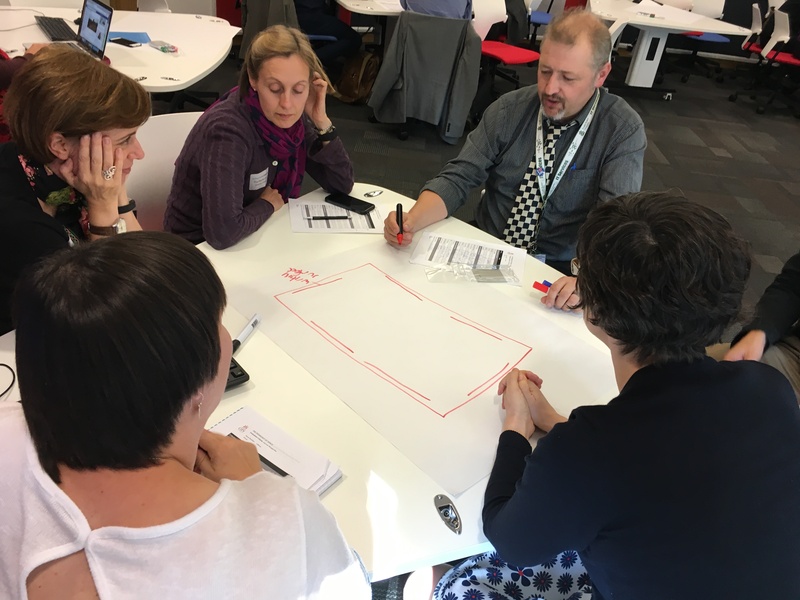 There was some resistance to the activity from students, such as ‘Why are we doing this?’ It also required training for staff and the alignment of delivery and assessment.